The instructions given doesn’t make any sense at all.. orgh! 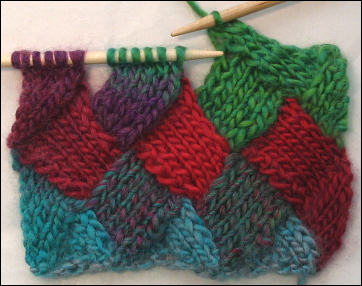 Has anyone here have done the Entrelac knitting? Just now was my first time playing with this technique and I found that it is quite difficult to understand especially the pick up part.. oh momy… that is a challenge! And now, back to school! I need to do some revision over the youtube again and again! Disclaimer: I don’t own the picture. Just attached for inspiration and to push myself not to give up that quick!